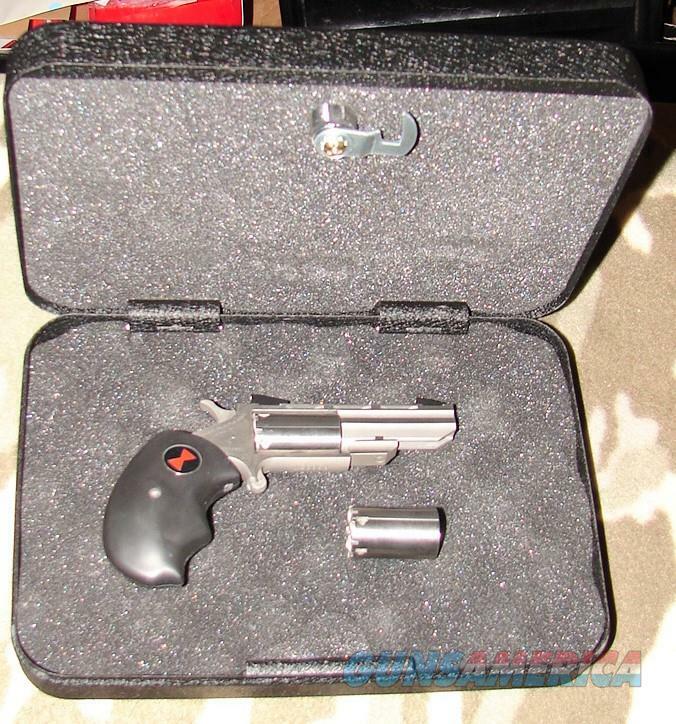 Description: North American Arms Mini Master Black Widow SA Revolver .22 lr./.22 Mag. R38370 2” Vent Rib Bbl. with an excellent bore. This stainless steel mini revolver is devoid of any blemishes in its finish. The black rubber finger groove grips are likewise in excellent condition Features include a second .22 Magnum cylinder, crinkled black lockable gun safe with two keys and NAA Decal, white outer box and manual. A handy compact mini revolver which can be readily concealed and has had very minimal usage.